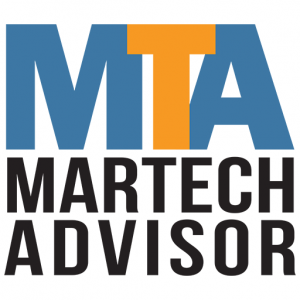 As featured in MARTECH ADVISOR on April 16th, 2018. 75.6 million international visitors came to the United States in 2016. They come for the sights of the cities, the beauty of the natural landscapes, and, of course, to shop. The U.S. is a shopping destination for luxury goods for a number of reasons. For one thing, certain brands or products may not be available in the countries people visit from, and even if they are available, they likely cost more back home. In addition, buying from stores in the U.S. ensures that goods are authentic, which is a draw for people visiting from places where fakes are ubiquitous. And of course, who doesn’t love a souvenir? Whatever the reasons, tourists dedicate serious time and money to shopping when they travel to the U.S., spending close to $250 billion a year. Tourists have the potential to be a goldmine for retailers—that is, if they know how to capture their attention. Figuring out how to attract these shoppers can be difficult because marketers can’t rely on their regular outreach channels. Instead of traditional advertising, here are four strategies retailers can use to better marketto foreigners. Social media marketing is a powerful tool, but it only works if you’re on the same platforms as the customers you want to attract. Platforms that are popular in the U.S. may not be popular in other countries. Sending out a marketing message on Facebook, for example, probably won’t be seen by a traveler from China, where Facebook is blocked. Retailers can overcome language barriers by embracing popular, multilingual and local social media platforms like WeChat, Weibo, WhatsApp, Line, and Yandex. You have to meet customers where they are and in the languages, they speak. These high-traffic channels are an opportunity to make travelers aware of what stores, brands, and products are available, as well as any exclusives, events or promotions that may be going on to enable social buying. A multilingual interface also enables foreign customers to have a back-and-forth dialogue with merchants, which promotes loyalty and engagement. Part of the appeal of shopping for tourists is the chance to jump on great deals. Deals from certain brands may not happen very often (if ever) in their home countries, so a trip to the U.S. is a unique opportunity to get a bargain. Furthermore, deals are effective because they convey a sense of urgency. Someone on a short visit is incentivized to take advantage of discounts while they can. Now that most travelers have mobile devices and social media accounts, retailers finally have channels where they can leverage a custom branded interface to deliver offers to hook customers. The most effective strategy is to segment and target customers using those mobile social media platforms mentioned above. Armed with information about shopper profiles and interests, retailers can deliver personalized, contextually relevant offers at the moment when it’s likely to have the greatest impact, such as when they are near a store. This boosts foot traffic and the likelihood of conversion. Mobile devices and social media also allows for easy check-in and redemption, which opens the door for more targeted customer experiences. The tourists are normally visiting for a brief period of time and it’s hard to target and segment them within the few weeks they have in the foreign destination. Targeted profiling needs to start in their home countries and work in the background as they make preparations for their trip. Exposing them to brands and events should be part of their trip preparations, so that they include it in their plans and don’t rely on trying to find merchants when they are in a foreign land. It’s not uncommon for tourists to rely on cash when they visit the U.S. because their credit card is not widely accepted here. Unfortunately, this limits their spending power. No-one wants to walk around with hundreds, or even thousands of dollars, in cash. Mobile payments represent a valuable opportunity to give travelers more flexible payment options. While they are still gaining steam in the U.S., mobile payment mechanisms such as WeChatPay, AliPay, PayTM, etc. are already mainstream in countries like China and India. By accepting these mechanisms, retailers can attract more foreign business in the door and encourage shoppers to spend more. It’s also a way to stand out in the market. Tourists represent a lucrative yet untapped customer base. Because of their unique needs, far too many retailers forego valuable opportunities to engage with them. With these simple steps, merchants can attract foreign visitors and incentivize them to spend. 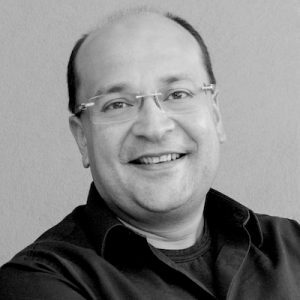 Amitaabh Malhotra is the Chief Marketing Officer of Omnyway, an integrated platform for payments, loyalty rewards and offers that encourages consumers to use their mobile phone for all aspects of the buying journey. Amitaabh also spearheads Omnyway’s new program that allows for the acceptance of alternative mobile payments at existing retail POS systems. With over 20 years of experience, Amitaabh has lead innovative mobile and payments companies globally. Prior to Omnyway, Amitaabh was the Co-Founder and Chief Operating Officer of DeviceFidelity, Inc., where he was responsible for creating the first plug and pay NFC devices in the world – establishing the groundwork for architectures now being deployed in iOS, Android and MPOS devices.